SuperShroud™ May be the Safest Concealment Shroud on the Market Today. SuperShroud™, by its very design, is much safer for both maintenance personnel and the general public. By allowing service crews to access the equipment without needing to remove the shroud, the chances of the shroud falling are eliminated. And, the wear and tear on the shroud itself is reduced tremendously. Traditional shrouds are constructed of ABS or solid fiberglas making them heavy and unwieldy. And, use of these materials greatly impedes signal throughout. 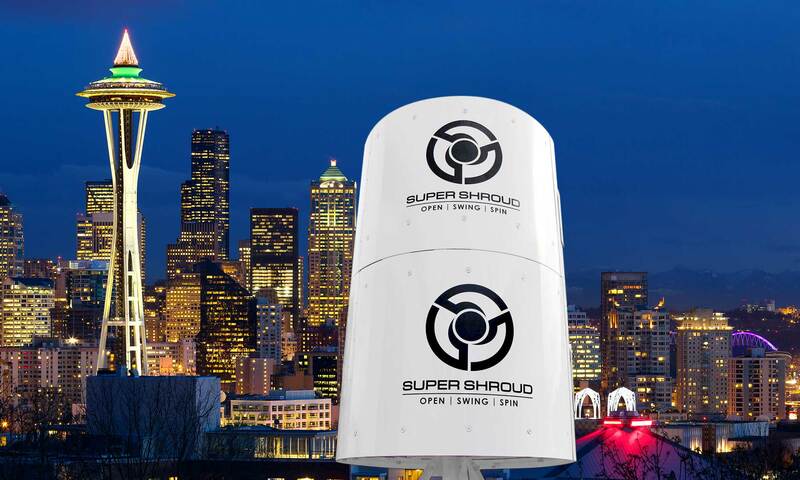 SuperShroud™ is constructed of a proprietary Fiberglas foam-core making it light but durable and allowing maximum RF transparency and 360° of signal throughput. Traditional Shrouds Can Crack, Fall and Break. These images from the field explain why we created Super Shroud™. We’ve heard many stories of traditional shroud failures that have caused property damage and compromised the safety of service crews as well as people on the ground. These stories led us to engineer Super Shroud™.